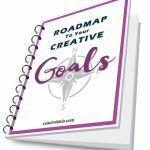 Life Coaching for Writers | Coach Nikki B. If you have never worked with a life coach before, you may be wondering what in the world this coaching thing is all about, and how it might be able to help you with your writing. Here are my answers to a few common questions that might help clarify things..
As defined by the International Coach Federation, coaching is partnering with clients in a thought-provoking and creative process that inspires them to maximize their personal and professional potential. Unlike many other professional relationships, coaching is a collaborative partnership where Both you and I will be equal partners in the process. Coaching is an excellent choice for emotionally healthy individuals who would like to accomplish a specific goal or make a change in their life. It is a very forward-thinking process and deals with making changes to improve your personal or professional life. counseling or therapy is usually best for people who need to focus on healing from past traumatic events or deal with other emotional or mental health dysfunction. Coaching and therapy may work very well when used together for some people. Consulting or training is usually more appropriate if you are strictly wanting advice or needs assistance learning how to perform specific activities. The consultant or trainer is usually the one who determines the best way to handle the problem and assigns a specific plan of action or course of study to resolve it. In coaching, the emphasis is on eliciting your own strengths and supporting plans of action determined by you. How can coaching help me with my writing? For writers, real life and creative work tend to get all mixed up together. This can be fun and energizing, but it can also cause a lot of stress, confusion and frustration. We’ve all heard the saying, “two heads are better than one. By working with a life coach, you literally have the opportunity to have two heads and a partner along the road. I can shine a light on your path so that you can see clearly what is getting in the way of your progress and make powerful choices about how to proceed. Together, we can create a plan of action and ensure you put systems in place to support your continued success in your work and life. I work with clients from all over the world. We usually meet once a week by phone and I am available by email in between sessions. This makes attending sessions very convenient and cost-efficient. Depending on the client’s needs, we will usually schedule sessions either weekly or every other week. If you are brand new to coaching, I usually recommend weekly sessions for at least 3 months to begin with. Most clients prefer to schedule their sessions at the same time each week; however, we can certainly be flexible with scheduling as needed. During your session, I do ask that you try to be in an environment where you can concentrate solely on the coaching conversation. Most clients like to take notes to capture insights or plans that come up for them during the call. Sessions can be recorded at your request so you can go back and listen again in case you missed something during your live call. You can get more details by reading my new client welcome packet here. Trust and rapport are very important elements in a coaching relationship. First, I’d like you to know I am committed to adhering to the code of ethics as framed by the International Coach Federation. As an ICF credentialed coach, I have pledged to abide by these standards. Next, I encourage you to read over my articles and the rest of my website. This is a good first exposure to my quirky self. 🙂 When you feel comfortable, please do request a free discovery session. This is a chance for us to get acquainted and see if coaching is right for you and if we would work well together. If we both feel good about it, I will let you know how you can work with me. That’s it. No hard sell. What does the ACC mean? The ACC behind my name means that I have earned a credential from the International Coach Federation. This credential can give you assurance that I take my role as a coach seriously and have invested plenty of time, effort and money into my education and development as a coach. This means I have coached many real clients, have demonstrated coaching proficiency to assessors and am continually receiving mentoring and ongoing training to improve myself both professionally and personally. One of the best places to learn more about the profession of coaching is the International Coach Federation’s FAQ page. That’s easy. Just click here to schedule your free 30 minute discovery session. This will not be a normal coaching session but will give us a chance to see if coaching is the right choice for you and if we might work well together. It will also give you a chance to experience a little taste of what coaching is like and ask any questions you might have. If we decide working together would be helpful to you, we’ll decide which coaching program or package suits you best, or we can design something especially for you. I would love to have the opportunity to meet you and support you and your creative work. Please feel free to contact me anytime if you have questions.